In a medium size saucepan, warm the chicken broth/chicken stock over low heat. In another medium saucepan, heat 2 Tbsp Olive oil over medium heat. Add the onion and garlic and cook for 2 minutes. Stir in the wine and cook for 1 minute. Stir in the warm broth, one ladleful at a time, allowing the liquid to evaporate before adding more. Cook for 13 minutes more. In a large skillet, heat the remaining 1 Tbsp Olive oil over medium heat. Season the lamb chops with salt and pepper, add to the skillet and cook for 3 minutes on each side for rare. 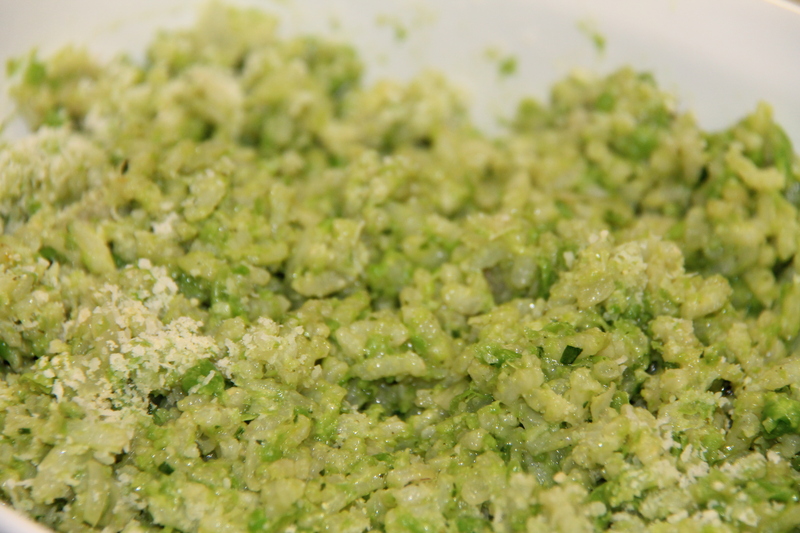 Using a food processor, puree half of the peas with the mint and parsley; season with salt and pepper. Stir the mixture into the risotto, and then stir in the remaining whole peas, the Parmigiano Reggiano cheese and butter. 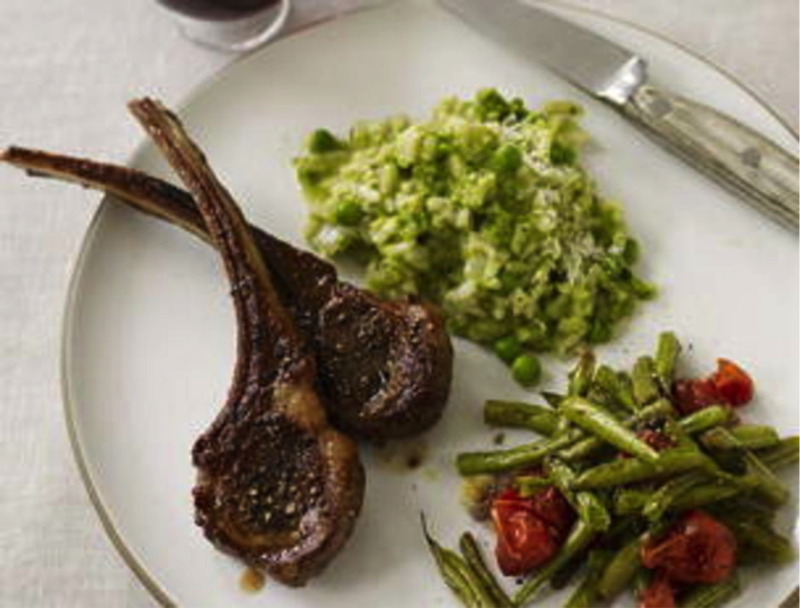 Serve the lamb chops with the risotto and mixed roasted Mediterranean vegetables of your choice.